Corey had an easy choice for his Best Bird of the Weekend. 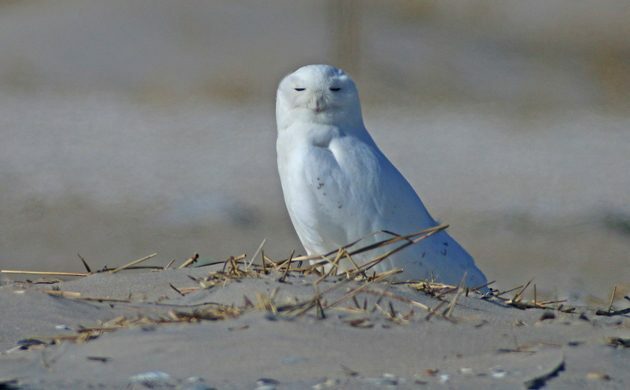 A Snowy Owl will almost always qualify as the best bird someone sees in a weekend and when the owl is nearly entirely white, like the one Corey saw at an undisclosed location in New York on Saturday morning, it easily is the Best Bird of the Weekend. After Corey bragged to me about this bird, I realized I hadn’t seen an owl yet this year. Conditions were good Sunday evening for a run to Nations Road IBA to catch the Short-eared Owl gloaming. Even better, my daughter tagged along for her first SEOWs and a bunch of other new winter specialties!